A total of 909 greyhounds died and more than 11,000 sustained injuries on racetracks between 2008 and 2014, according to a new report. 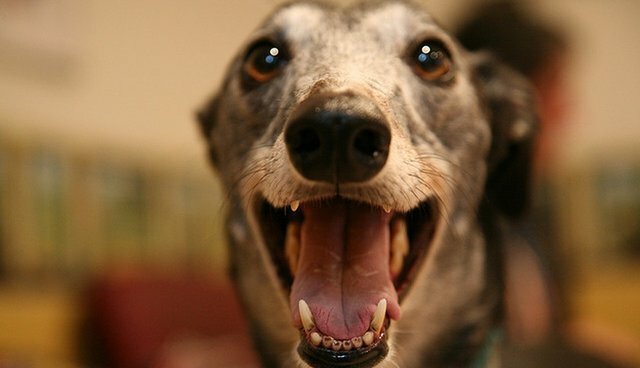 During those years, greyhound racing also caused 27 documented cases of animal cruelty, including dogs starving to death and lacking proper care, according to the 80-page study, which will be released Wednesday by advocacy organizations Grey2K USA and the ASPCA. The groups are planning on mailing the report to lawmakers, urging them to ban dog racing. "People don't realize how treacherous the life of a greyhound dog is: broken legs, skulls, backs, severed toes, electrocution, even cardiac arrest because of the stress," Nancy Perry, senior vice president of ASPCA government relations, told the AP. "We want people to understand this isn't dogs playing in a park but literally running for their lives." The report urges officials in the seven states that still have tracks (Florida, Alabama, Arkansas, Texas, West Virginia, Iowa and Arizona) to follow the lead of the 39 states that have already banned greyhound racing. Thankfully, greyhound racing is becoming a dying industry. The report points out that in 2012, attendees bet $665 million at U.S. tracks - a 66 percent drop since 2001. Still, a greyhound dies once every three days on Florida tracks alone.